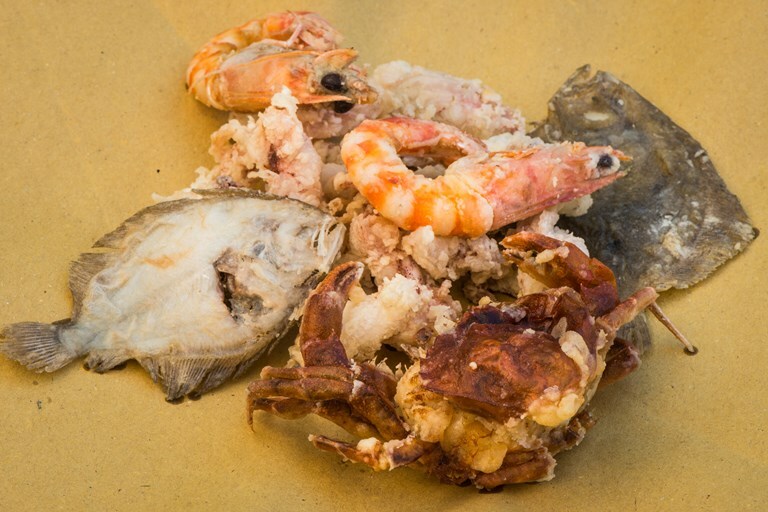 Grazia Soncini shares her take on the classic Italian seafood dish, fritto misto, which is inspired by the fresh fish of the Adriatic (such as the small scaldfish, sand smelt and molecha crabs). If unavailable, other types of flatfish (the larger Dover or Megrim sole) could be used as a substitute – just fry for slightly longer to account for their size. Sliced vegetables such as aubergines, courgettes, or even pieces of seaweed, can be fried in the same manner to make a more substantial dish.